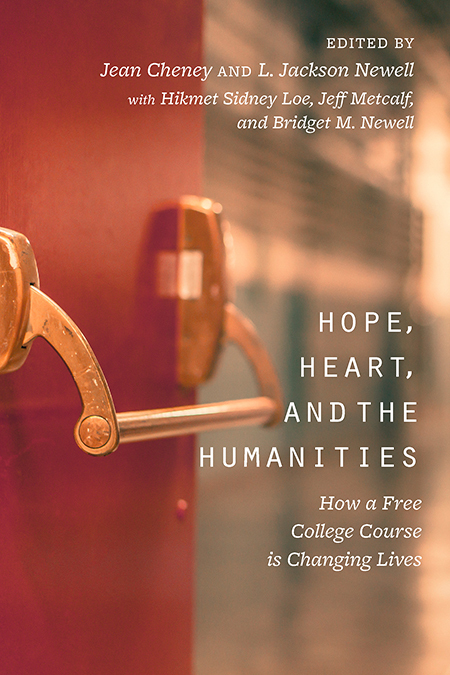 Hope, Heart, and the Humanities tells the story of how Venture, a free, interdisciplinary college humanities course inspired by the national Clemente Course, has helped open doors to improve the lives of people with low incomes who face barriers to attending college. For over a decade, this course has given hundreds of adults, some of them immigrants or refugees, the knowledge, confidence, and power to rechart their lives. Readers will go inside Venture classrooms to see what occurs when adults enter serious discussions about literature, critical writing, art history, American history, and philosophy. Apparent also are the difficulties nontraditional students, who range in age from 18 to 60, often encounter in a college classroom and the hard choices they and their teachers make. What readers may remember most are the stories and words from people whose views of the world broaden and whose directions in life changed. Jean Cheney is associate director of Utah Humanities. L. Jackson Newell served as dean of liberal education at the University of Utah and president of Deep Springs College. Hikmet Sidney Loe teaches art history at Westminster College in Salt Lake City. Jeff Metcalf is an award-winning teacher and writer in the English Department at the University of Utah. Bridgett M. Newell is professor of philosophy and associate vice-president for diversity at Bucknell University. “A terrific introduction to a grass roots movement of oppressed people and educators worldwide, changing lives and communities through thinking and dialogue, more powerful than munitions. Students from all walks of life and backgrounds overcome poverty, racism, homelessness, abusive relationships, and hopelessness through their study of the humanities. Nuggets of teaching brilliance pervade the volume."